Now, dependant on how you link internally to pages or how other people externally link to them, the search engines will ultimately discover these various URLs. If 1 page can wind up with 6+ page variations, it is fairly simple to see just how a site can quickly get out of control. This problem can be fixed, so don’t panic! The way in which to resolve this problem is with server side programming. Use ISAPI or htaccess to configure your web server to serve pages always either with or without the “www”. If you have been using both, be sure to complete a link audit to observe which out of the two has the most inbound links and select that one. When it comes to SEO we know that there is no value to .php, .html, .asp or any other file extension – as long as you select a normal one as opposed to a random one like .dx. Better still, go without utilising any extension whatsoever. For long-running websites, there is a good chance that you will transfer from one language to another and change file extensions. This will also require you setting up redirects so that you do not lose your inbound link equity. For those of you using extensions now, do not change them for the sake of it, instead wait until your code requires upgrading. Also, consider the trailing slash at the end of the URL. Whether you opt to use it or not, do ensure that your use of the trailing slash is consistent. The use of word delimiters in URLs, such as underscores and hyphens are now more accepted than they once were. Here at SEO Essex, we find hyphens are really effective for increased readability. Any other character of choice – other than underscores and hyphens – may decrease the value of the word in the search engines. Additionally, avoiding squashing your words together – as this can also be problematic. The shorter the URL the better – in other words shorter URLs are better than longer URLs. 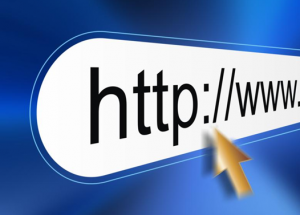 If you seek the perfect length of URL, we would suggest a URL of no longer than five words. Avoid the use of abbreviations, short words and stopwords. This is not to say that search engines cannot handle longer URLs, but from experience a URL under 60 characters (including the domain) is more effective. Including keywords in your URL is always the more advisable option, yet stuffing your URL with keywords can work against you from an algorithmic manner. For instance, which of the URLs below look more trustworthy? The second URL is not breaking any rules – it is within 60 characters – but it has an untrustworthy, keyword stuffing look about it. For those of you intending to use numbers in your URLs, do this with caution. Ensure that the numbers do not appear within the same format as a date. Here at SEO Essex, we have discovered that if the numbers in your URL are formatted similar to that of a date, the post could look younger or older than it actually is. Our advice… Try to avoid using numbers in order to bypass this issue altogether. Way back when, programmers and developers used parameters in URLs to keep an eye on such things as shopping sessions or products. Nowadays, everyone uses this functionality – from the marketing department to the customer service desk. Search engines originally had a lot of trouble with parameters, which meant they ignored any URLs with parameters in them. However, search engines are now far more advanced and so in most instances, they can handle them just fine. Our advice… Using parameters is like shark diving. Unless you are extremely skilled, you will wind up getting wounded. Of course, this problem can be avoided altogether by not using parameters at all. This may seem overly cautious – but in our years of experience we have witnessed too many instances where websites have been derailed due to this precise problem. Our SEO Essex handy tips is… If you need to use URL tracking, use hash tag tracking instead! Should you or shouldn’t you use directories in your URLs? If you plan to have a large site of over 500 pages, then you will 100% require directories in your URLs. Yet, for smaller sites, the choice is entirely yours. Additional control can be achieved with the use of directories, but it will cost you time in regards to the complexity of your site as well as your overall URL length – so please bear these factors in mind before making up your mind. For those of you who have had a website around for some time, you will know that in due course, you will need to amend your URLs. When doing so, here at SEO Essex, we have found that the best way in which to do so is to use a 301 redirect from the old URL to the new URL. See Broken Links for more information on URL redirection. • Do not enable multiple versions of your web pages to exist under more than one URL. • File type extensions do not matter, but ideally you should avoid them where necessary in order to save yourself redirect issues in the future. • Keep your URLs as short as you can. • Use keywords within your URLs, without the use of stuffing. • Avoid the use of numbers in your URL – especially those that look like date formats. • Avoid parameters – if you desperately need them, use hash tags instead. • Directories are only necessary for large sites or sites that require segmented content – otherwise they are optional. • Utilise 301 for redirects – it’s the least problematic solution. For further guidance, you can also download our very own free report; 3 of the Biggest & most Common SEO Mistake You Should Avoid.